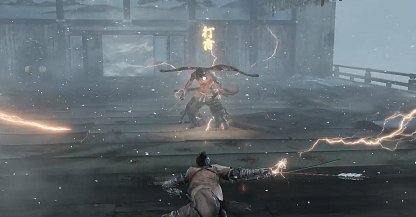 Find out how to defeat Genichiro Ashina boss in Sekiro: Shadows Die Twice in this guide. This includes his battle moves, gameplay and combat tips. Check Out the All Area Guide Walkthroughs! Ninjutsu Technique that turns the spraying blood of a victim to smoke. 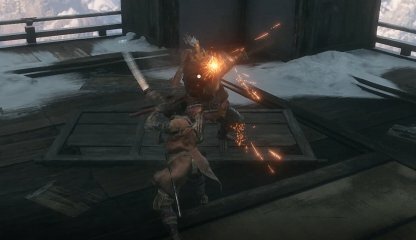 Although prosthetic tools can be used on Genichiro, they open you up for counterattacks on his end. This is extremely risky against an enemy as quick as he is. 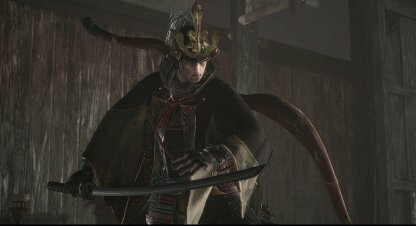 Initially, Genichiro will have 2 HP Nodes, but in fact he has a total of 3. 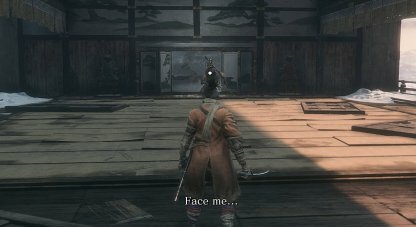 There's a second phase to the boss fight against him with brings up the required Deathblows to defeat him to 3. Fighting against Genshiro will require you to be both aggressive and defensive. You can't be too much of either as it can get you killed or his Posture Meter will continuously deplete. 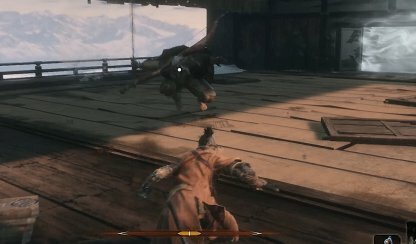 Parrying Genchiro's attacks will require you to be familiar enough with how many strikes he'll make and it's ranges. By observing his attack patterns, you'll also learn his openings where you can attack him. 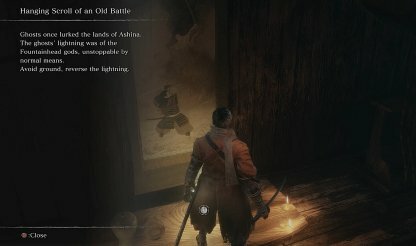 In the final phase against Genichiro, he'll start calling lightning to attack you. Countering it requires players to learn the Lightning Reversal technique. 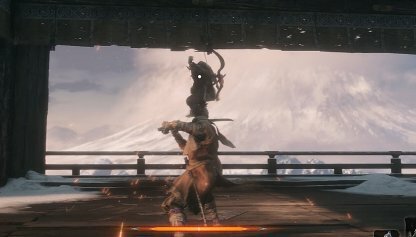 After beating Ashina Elite - Jinsuke Saze, you'll have access to the Ashina Dojo. 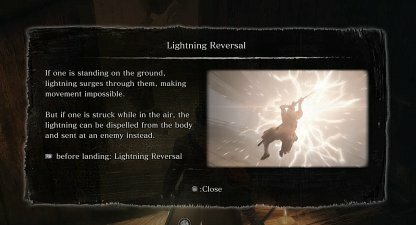 There is a scroll at the far end of it that you'll need to read to learn the Lightning Reversal technique. When Genichiro is rolling forward, he is in a vulnerable position. Strike downwards to interrupt his role and do damage to his health. 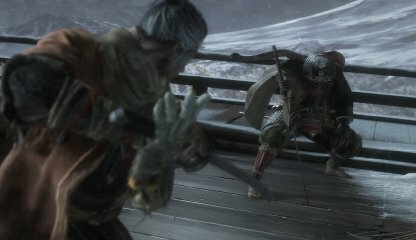 One of Genichiro's patterns is that after doing an overhead strike, he will do a perilous attack right after. If he does his thrust attack, use the Mikiri Counter to catch him off guard and attack him. You're free to parry the 9-strike combo, but it's risky and could end up with you having a full Posture Meter. It's better to just dodge back once he starts to swing forward. 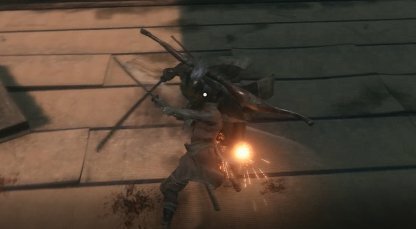 The 5-Arrow Rapid Attack is extremely quick, making it really hard to dodge. Keep your guard up instead once he jumps into the air, signaling the start of the attack. 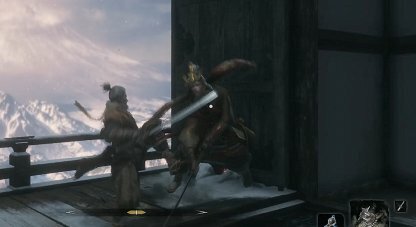 One of the biggest openings of Genichiro is when he does his Leap Strike Perilous Attack. Use your Mikiri Counter and attack him once he's caught off guard. When Genichiro calls forth lightning, jump in the air immediately. If you get hit, press your attack button to direct the lightning back at him! This will deal a ton of damage.